MANIFESTAZIONE DIVINA DEL SANTO SPIRITO. PIETÀ, MISERICORDIA ECCELSA. MADRE DEL CRISTO NOSTRO SIGNORE E REDENTORE. MADRE MIA, NON SONO DEGNO DI GUARDARE I TUOI OCCHI SOLARI, IL TUO VOLTO CELESTE E MATERNO CHE ODORA DI MARE, DI ROSA, DI INCENSO. NO! NON SONO DEGNO, MADRE MIA! MI PERMETTO DI BACIARE, IN GINOCCHIO, I TUOI SANTI PIEDI! DALLE CATENE E DALLE TENEBRE OFFERTE DA SATANA. QUANTE! QUANTE VOLTE IL TUO INFINITO AMORE HA SPRONATO L’ANIMA MIA A PERCORRERE IL CAMMINO CHE DIO HA TRACCIATO AL MIO SPIRITO. GRAZIE, MADRE MIA E NOSTRA, DI ESISTERE E DI MANIFESTARTI. TU SEI LA PROVA CHE DIO MAI ABBANDONA I SUOI FIGLI. 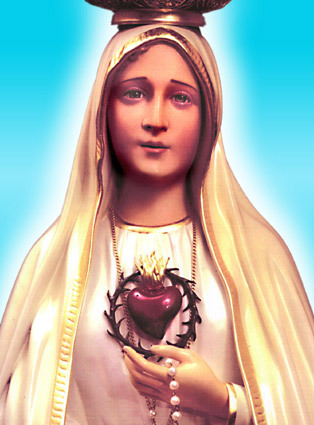 TU SEI L’AMORE DI DIO-MADRE CHE NON ABBANDONÒ SULLA CROCE IL SUO UNIGENITO FIGLIO, IL CRISTO. CHE BAGNÒ, CON LE SUE SANTE E DIVINE LACRIME, I PIEDI DI SUO FIGLIO INSANGUINATI, CONSOLANDOLO E SOFFRENDO CON LUI, A CAUSA DEI NOSTRI PECCATI. MADRE MIA E NOSTRA, TI PROMETTO CHE COMPIRÒ LA MISSIONE CHE IL TUO SANTO FIGLIOLO MI HA DATO. TI PROMETTO CHE LA GIUSTIZIA, LA PACE E L’AMORE IN QUESTO MONDO TRIONFERANNO PER LA GLORIA TUA, MADRE SANTISSIMA. IL TUO CUORE IMMACOLATO TRIONFERÀ NEL TUO NOME, IN QUELLO DEL PADRE E DEL FIGLIO! UNO DEI TUOI FIGLI IN MISSIONE NEL MONDO.